This 50-year retrospective captures the glory and grit of one company’s journey to becoming a dynamic force in the world of dance. 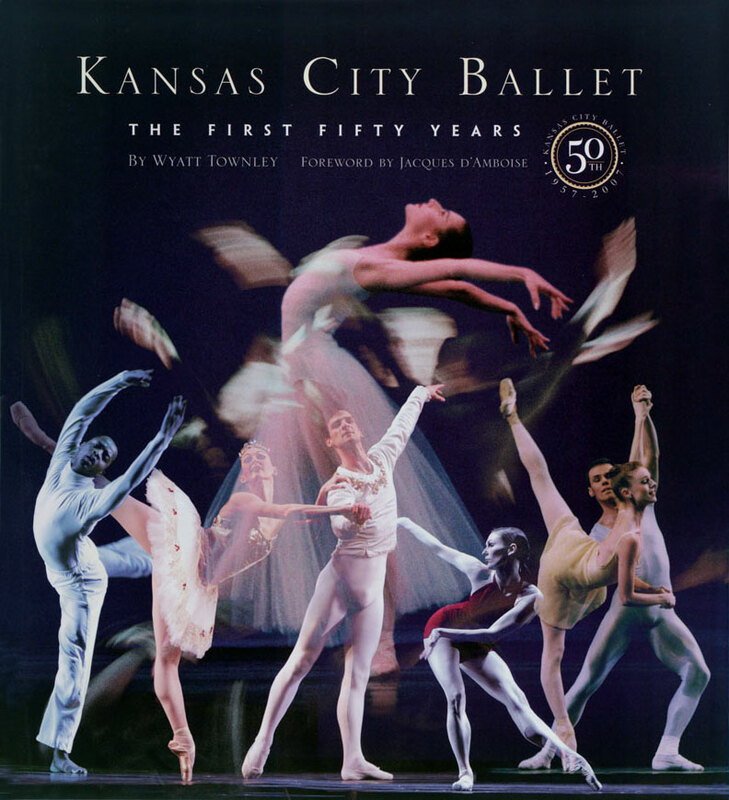 With a foreword by Jacques d’Amboise and over 100 color photographs, the commemorative 50th anniversary edition explores KCB’s rich history, highlighting eras of its three long-time artistic directors: Tatiana Dokoudovska, Todd Bolender, and William Whitener. 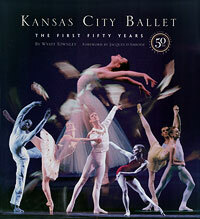 A Kansas City Star Books "bestseller"
"What a surprise to find in Kansas City Ballet: the first fifty years, a snappy, relaxed little text that matches the physical book....Author Wyatt Townley uses wit and high spirits to enliven what could have been a solemn chronicle....smart, quick, unpompous, ideal for the sleek professional-looking dancers who meet your eyes in these pages." "In loving, arresting style, Townley unveils a collection of recollections and historical 'must know' info about the ballet—one of the precious chambers within the cultural community's vibrant heart." "A well-researched history by author Wyatt Townley containing generous photographs and pointed comments from those who helped build the company."